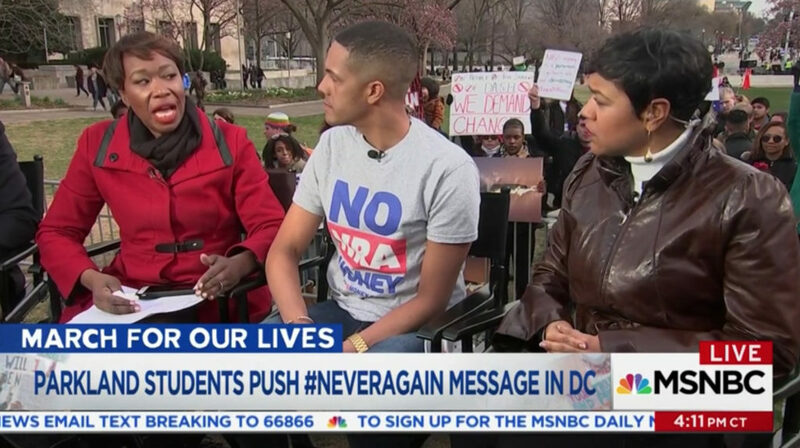 American cable news networks devoted much of Saturday to covering the “March For Our Lives” rallies in Washington, D.C., and across the country. MSNBC offered blocks of rolling coverage throughout the day hosted by some of the network’s most prominent names — including Brian Williams and Chris Matthews. Craig Melvin, Ari Melber and Joy Reid, also hosted chunks of coverage. The network’s coverage originated from an outdoor setup on the ground in Washington, with field reports coming in from both around the city and country. 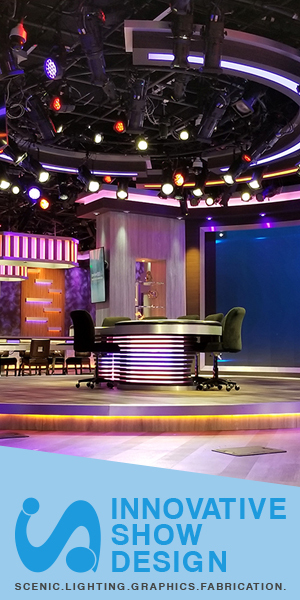 The outdoor setups were plagued, during some of the day, by the bright light, which made it difficult for the on air talent to see the on air monitors in front of them. 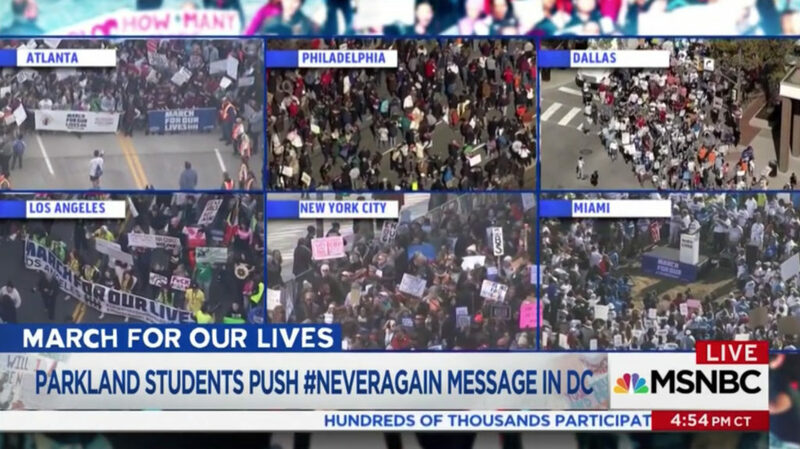 MSNBC opted to use its own twist of the official “March For Our Lives” logo — keeping the color scheme and small people icons. The typeface, however, was switched to a stylized version of its its normal san serif font, with a “stencil” effect and uneven letter shapes mixed in. 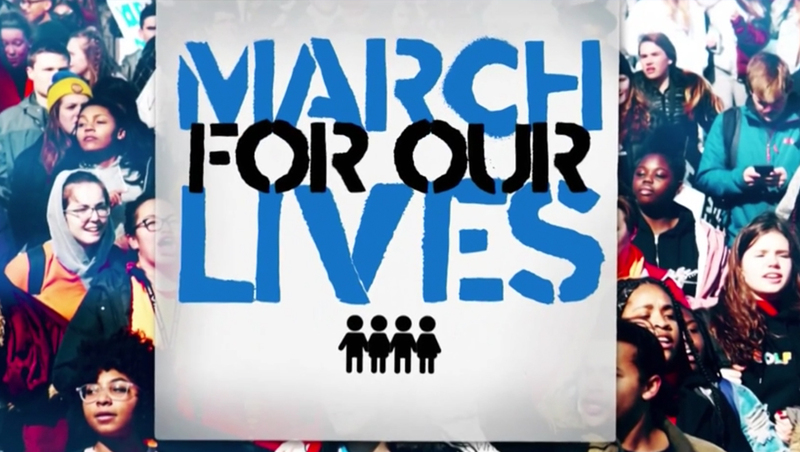 A similar iteration of the font, though without the stencil effect, was also used in specially designed lower third insert graphics, which features a blue flag and white banner with faded imagery of protest signs. To showcase satellite events taking place across the United States, MSNBC used a variety of box configurations showing live shots from across the nation, including the six box layout shown here. In addition, locator lines in the upper left of the screen were also used to indicate both the city name and local time in various cities coast to coast.